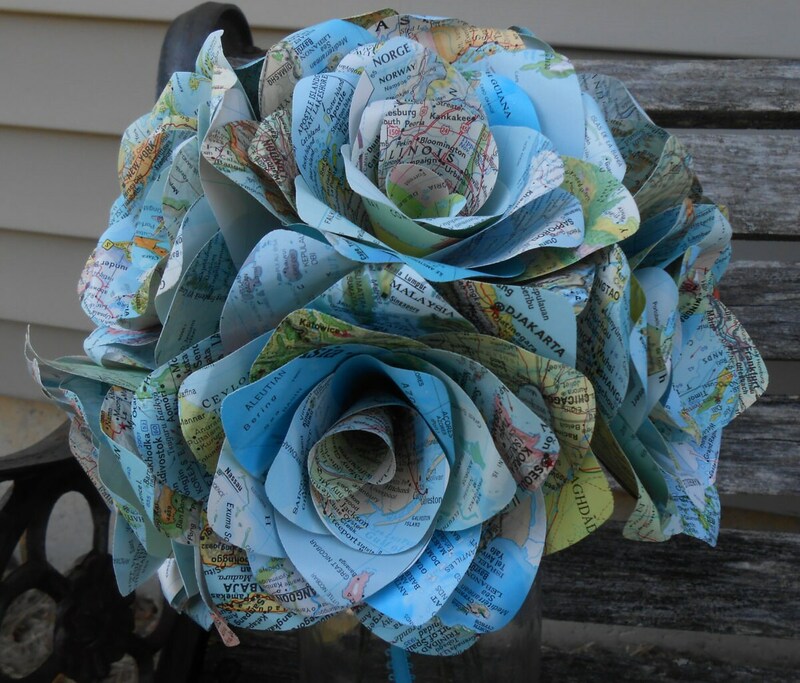 12 Vintage MAP Paper Roses. Home Decor, Wedding Bouquet, Anniversary Gift, Birthday, Mother's Day. 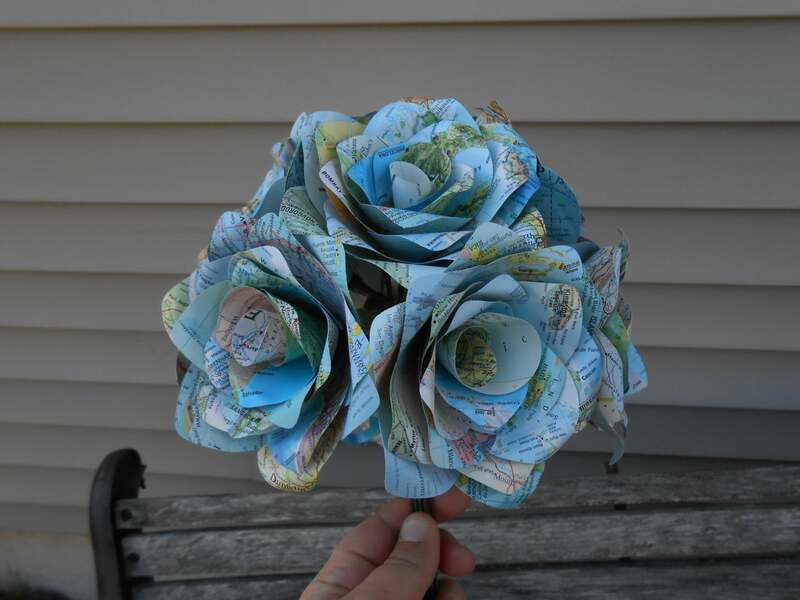 Made from lots of different vintage maps and atlases, this bouquet features a dozen roses, cut and put together by hand. 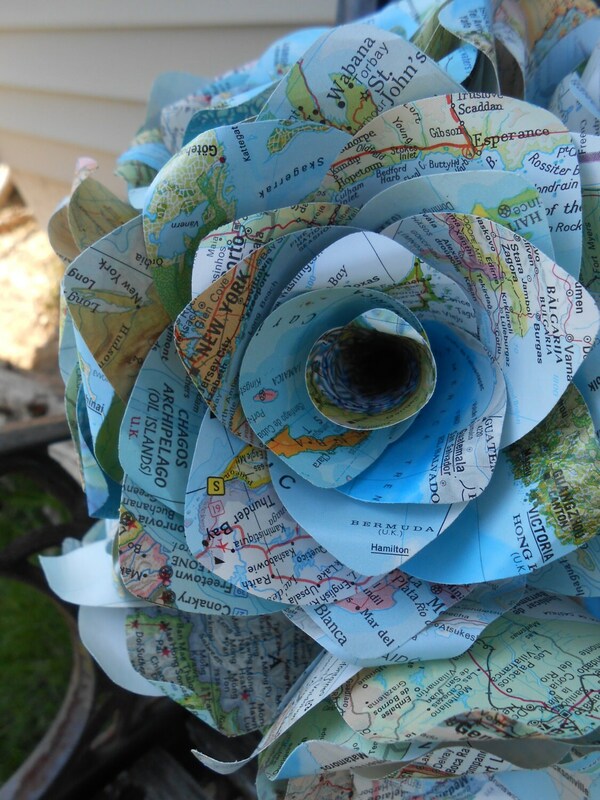 I have put together these roses so that they show famous places from all over the world. 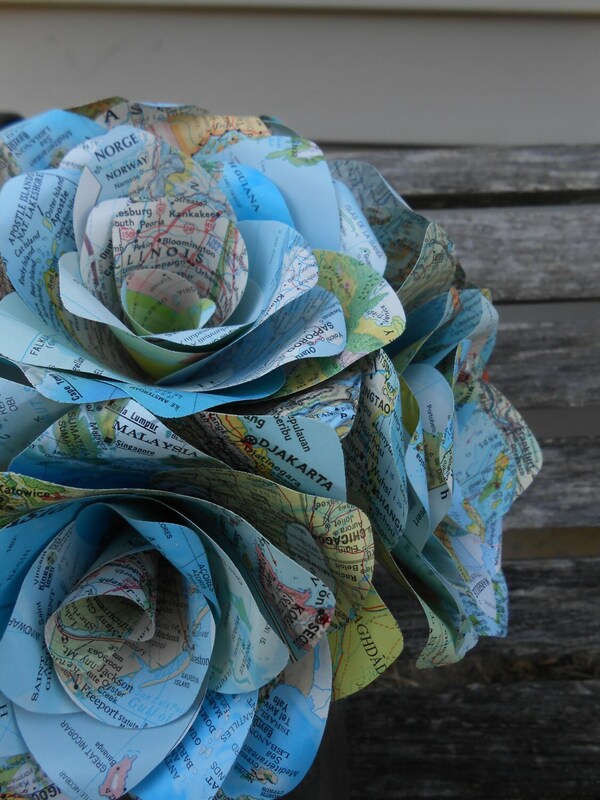 Each flower in on a flexible stem which is wrapped with a green stem wrap. These are perfect for First Anniversaries, Valentine's Day, Mother's Day, birthdays or just to have around the house. 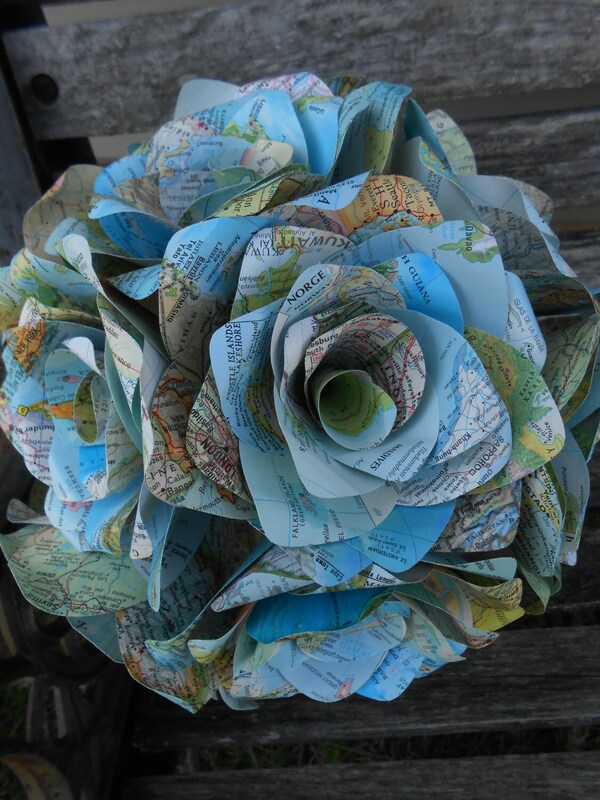 They make wonderful wedding/bridal bouquets too! Each flower measures around 3 inches across. Each one is unique. If you would like a special order, just convo me and I would be happy to make whatever you would like.